A sparrow asked me if I had anything to eat. 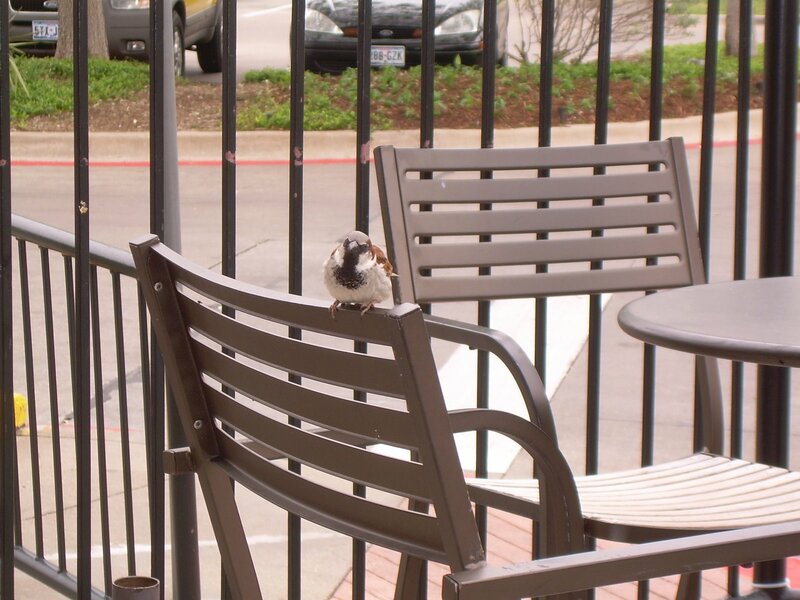 I assured the sparrow that all I had was the most inexpensive cup of coffee available at the cafe. I apologized to the sparrow because I was quite busy trying to be a rich, famous writer – failing, miserably, too. The sparrow introduced himself. He said that he wasn’t always a sparrow. Once, he was a stone. All this flying that birds do is truly miraculous, because they each begin their lives as stones. They sit inside little round stones, in the ground. They wait and wait and wait for a bird to come along and devour them. Then, inside of a bird’s gizzard, the stone becomes an egg. Don’t believe the scientists who say that birds are not stones. Sparrows, at least, are rocks that have taken flight. Sparrows – more specifically – are made from granite. Ravens are born of obsidion. Robins are born from magma. Pelicans are from salty limestones. A magpie is hard-packed chalk. Eagles are born of coal. A golden finch was fool’s gold. A crane whooping used to be a dinosaur egg. That is why cranes are so rare. The crane must first find the fossilized egg of the ancestors. This is also why cranes are so magical, and their song is full of such weeping sorrow. We were dinosaurs once, and we were magma. We are the true sons and daughters of this rocky earth. I thanked the sparrow for his story. He, again, asked me if I had anything for him to eat. I picked up a concrete rock from a chip in the ground. 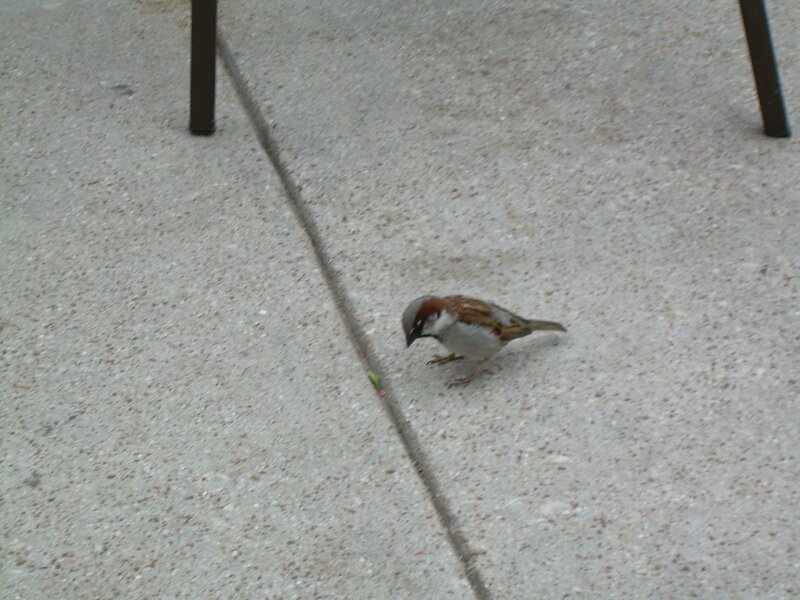 I asked the sparrow if he would accept a stone made of men. Th sparrow bowed and refused. The birds born of concrete are pigeons, and a more awful bunch of beggars and thieves no noble sparrow has ever known. That reminds me a little of a poem called “Stone” by Charles Simic. The first stanza goes:Go inside a stoneThat would be my way.Let somebody else become a doveOr gnash with a tiger’s tooth.I am happy to be a stone.I just tagged you over on my blog, by the way. Uh, twice. Sorry.